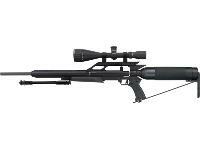 Caliber: 0.20" (5.0mm), Stock: Synthetic, Handle: Ambi, .20 cal Ultimate Condor is great for hunting small game & pests. Be ready for anything! 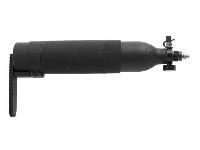 This totally loaded AirForce Condor comes with so many accessories, you can hunt, plink, shoot in the basement or backyard, change barrels, make the gun quieter and get high-pressure air when your scuba tank is empty! The AirForce Condor is the most powerful production PCP made today, so we've put together this irresistible package. 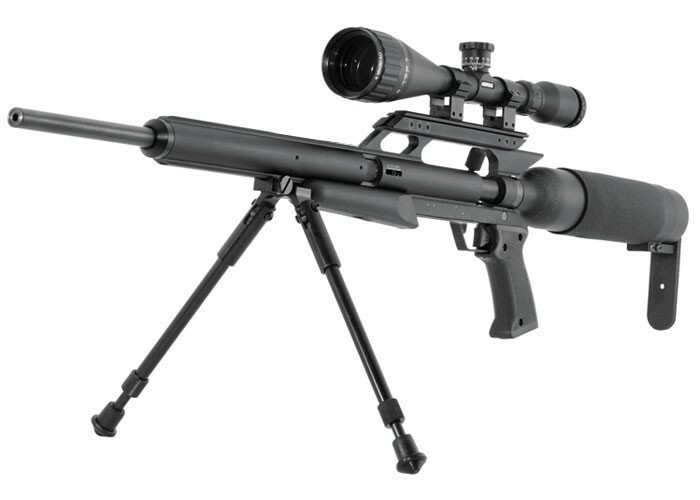 Its unusual looks and design make this gun stand apart from other air rifles. 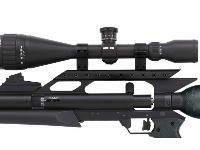 It has adjustable power, from about 600 fps on the low end to 1250 fps on the top side (for .22). Even with all that power, it's recoilless! 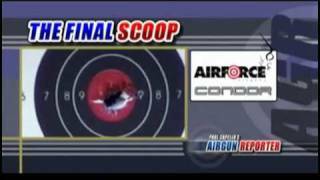 Power without accuracy is useless, so AirForce made sure you got a REALLY accurate gun by using only Lothar Walther barrels. The 24" barrel (comes standard on all Condors) has a 1:16 twist and can deliver 1" groups at 50 yds. 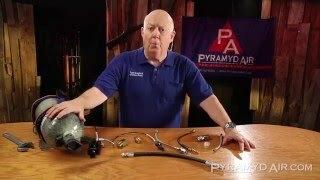 Changing barrels is quick and easy! *The standard tank along with the 12" barrel and the Talon SS end cap mounted on the Condor frame will turn your gun into a much quieter shooter...but at lower power. It's like getting 2 guns, but it's a little more powerful than a standard Talon SS! Things I liked: This rifle in combination with 32 gr neilsen specialty HPBT, i have no problem taking prairie dogs at 125yds. I am getting dialed in on the next colony at 190yds. Took 2 shots so far. First was a couple feet low and the second missed by inches. That colony is where the big smart dogs are do even at that distance its hard to get shots on them. Things I would have changed: the price could be lower. it always is out of store. Things I liked: This is an amazing gun my friend has it. I can hit tin cans at 70 even 75 yards. Me and my friend went hunting I killed a few rabbits with is it feels very clean but it is kind of loud for an airgun. Things I would have changed: I don't like how it is a single shot I wish it could have a 6 round mag like the crosman rouge. 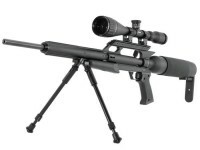 What others should know: This is a great gun I use it for small-medium game hunting I definitely recommend it but if I were you I would get the crosman rouge. 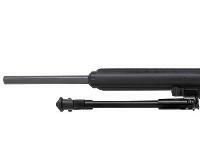 You can also find the crosman rouge here on Pyramyd air they have a good deal on it! This gun has "everything" they brag. Ya think? STILL just a single shot that you have to fumble around with when reloading, lousy 11mm dovetail scope rail instead of picatinny style,no way to mount accessories on the side, unsilenced barrel. Shall I go on? And all those missing features for a mere $1600. I don't think so people! 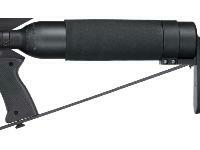 .20 cal Ultimate Condor is great for hunting small game & pests.